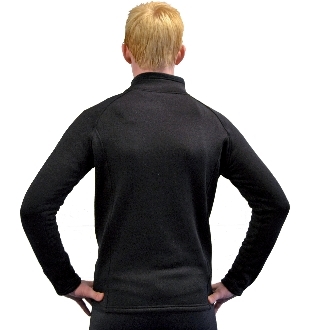 The ChloeNoel JT22 Fleece Unisex Figure Skating Jacket has front zipper and pockets. The fast-wicking fabric resists odor-causing bacteria and allows the body's moisture to pass through. Available Charcoal Black only in Child XS - Adult XL.